Rigondeaux vs Ramos will be on the undercard. WOLAK IS ON THE UNDERCARD! Wolak will prob face the winner. He got the pacquiao haircut. Oh and when is the face off with Kellerman? Junior middleweights Pawel Wolak and Delvin Rodriguez, who battled to a 10-round draw in an exhilarating slugfest at New York's Roseland Ballroom on July 15 in one of the all-time great battles in the history of ESPN2's "Friday Night Fights," are going to do it again -- and on a much bigger stage. 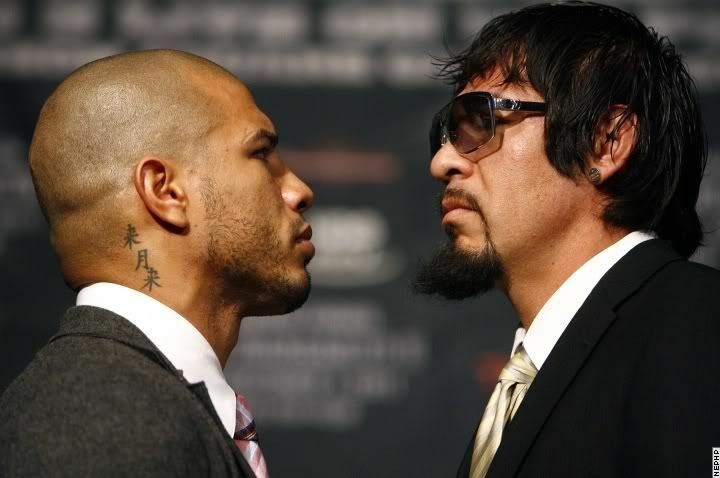 They will meet in a scheduled 10-round rematch in one of the televised bouts on the Miguel Cotto-Antonio Margarito II undercard Dec. 3 (HBO PPV) at New York's Madison Square Garden, adding an expected action-packed fight to an already deep card. "The rematch is a little sooner than I wanted as I wanted a title to be in place first, but the fans deserve this and this is the right stage," Wolak told ESPN.com on Wednesday night after agreeing to the fight. "You know it will be another classic." Rafael Get the latest scoop and analysis on the world of boxing from ESPN.com's Dan Rafael in his blog. Top Rank, Wolak's promoter, and Joe DeGuardia, Rodriguez's promoter, made a deal Wednesday for the fight. Top Rank also worked out a deal with Wolak and his manager, Cameron Dunkin. Although Rodriguez said he still needs to finalize his side of the fight with DeGuardia, he is excited about the rematch. "I want the fight. 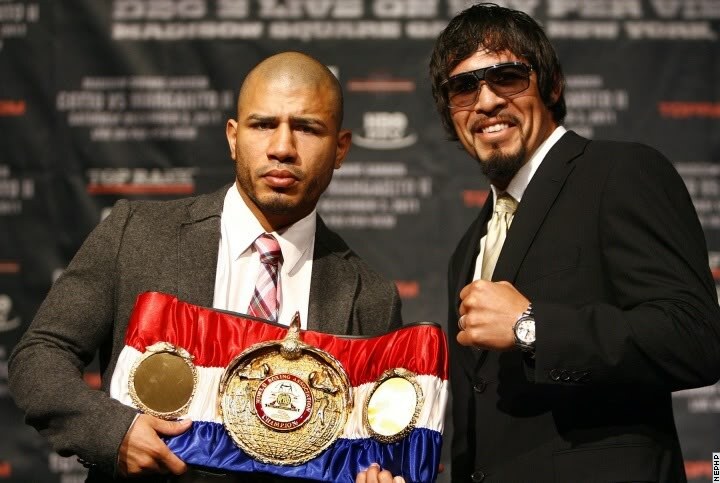 It's a great fight and a great opportunity," Rodriguez said. "It is definitely a tough fight, but I enjoyed our first fight and I know I have to be 150 percent in shape, the best I can be. He brought out the best in me. He's a guy you have to be prepared for to be able to keep up. I see the fight going even better for myself this time." The addition of the fight to the Dec. 3 card makes it one of the most stacked pay-per-views in recent years. In addition to Cotto-Margarito II and Wolak-Rodriguez II, the televised card will also include all-action lightweight titlist Brandon Rios in a title defense against an opponent to be determined and a welterweight match between crowd-pleasing top-10 contenders Mike Jones and Sebastian Lujan. Plus, light heavyweight prospect Mike Lee, the Notre Dame graduate who brings a significant crowd, is also on the untelevised part of the show. "It's turning out to be, on paper, the perfect night," Top Rank president Todd duBoef said. "What a way to come back to the Garden after not having a big fight there for a while. There is a slow process that occurs when making matches but for this one, everything ended falling into place perfectly." The first Wolak-Rodriguez fight was an instant classic, so good that for the first time ever ESPN2 replayed the bout the following week as part of the regular edition of "Friday Night Fights." Rodriguez (25-5-3, 14 KOs), a former welterweight title challenger who was moving up to 154 pounds, and Wolak (29-1-1, 19 KOs) battled nose to nose throughout the fight with the crowd roaring throughout. By the seventh round, Wolak's right eye was grotesquely swollen and virtually closed, but he refused to quit and continued marching forward. Rodriguez, 31, a native of the Dominican Republic who grew up in Danbury, Conn., looked like he might have pulled it out by winning the late rounds big when Wolak could not see out of the busted up eye. But two judges scored the fight 95-95 while the third judge saw it 97-93 for Rodriguez, resulting in a majority draw. Fight fans called for a rematch immediately, but it looked like it would not happen at first. Wolak wanted to fight for a title first instead of the rematch. With no title fight available, Top Rank planned to put him on Dec. 3, but against a lesser opponent off television for a small purse. But the mandatory fight between junior featherweight titlist Rico Ramos and interim titleholder Guillermo Rigondeaux, which was originally planned for the pay-per-view, broke up last week over a significant disagreement over the purses between Dan Goossen, Ramos' promoter, and Top Rank, Rigondeaux's promoter. Top Rank then took another stab at trying to make the Wolak-Rodriguez rematch. Wednesday, Top Rank's Carl Moretti worked it out with Dunkin and DeGuardia while Ramos-Rigondeaux is headed for a purse bid. "Adding this fight to the card, they're going to need a renovation from the renovation with the place being so crazy," Moretti said, referring to the ongoing overhaul at Madison Square Garden. "Delvin brings a crowd, the Polish fans will be there to support Wolak and you have a big main event, it is going to be crazy. It's going to be a special night at the Garden." Dunkin originally resisted the idea of the fight, but came around. "The money changed. Top Rank is paying Wolak extremely well. It is by far his biggest payday and he's very happy," Dunkin said, although the purses were not disclosed. "Carl got it done. I'm really happy and excited. I think it's a sensational fight for (Wolak). It's a fight he can win, but he's going to have to be ready. As great as this show is, this fight makes it greater." The fighters made purses of about $20,000 apiece for the first fight. Their purses for the rematch likely will come close to or touch six figures. Wolak, 30, of Rockaway, N.J., but originally from Poland, would have preferred a world title bout before facing Rodriguez again, but that was simply not in the offing. "My feeling was a meaningful title should be on the line, but no titleholder was willing to fight me," Wolak said. "I really wanted (Cornelius) Bundrage, but he is chilling in his old-age home with dust collecting on his belt. (Canelo) Alvarez and (Julio Cesar) Chavez (Jr.) still aren't interested. "People say I won (the first fight), I lost, I'm great, I'm terrible. But they all say they were entertained and that is what I listen to the most. I am very excited and appreciative of Top Rank, Cameron and Delvin for this." Both fighters said they have heard from fans regularly since the summer fight. Some have compared it to the first legendary battle between the late Arturo Gatti and Micky Ward. "Gatti and Ward reborn, no higher compliment in my mind," Wolak said. "People want the fight. This fight needs no promotion," Rodriguez said. 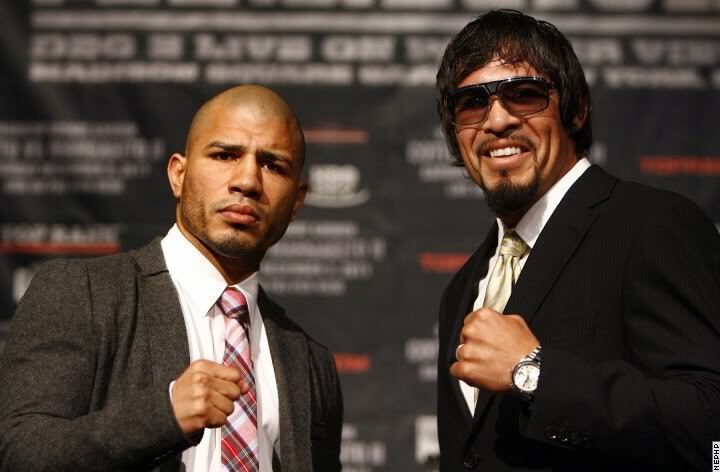 "Fighting under Cotto-Margarito, I know the crowd will be jumping. People have been waiting for this fight since right after the first fight. Everyone keeps asking, 'When is the rematch?' It's something people keep telling me about, something boxing needs."